The gaming world is set to crown its champion for 2017. Everyone from IGN to Game Spot to Kotaku to Metacritic will be doling out their highly/somewhat/sort of coveted Game of the Year awards, and Nintendo is expected to clean up. While everyone else zigs into retrospective mode, let’s zag and look ahead to 2018, because there are zesty games destined to take up way too much of your time. Disclaimer: I have always had a huge soft spot for the Soulcalibur series because the girl I had a crush on in high school looked a lot like Sophitia. But the release of Soul Calibur 6 (exact date TBD) should excite more than just nostalgic 20-somethings. It’s been six long years since Soulcalibur V, and we already know that we’ll see the return of Mitsurugi and Sophitia (huzzah). Plus, the eight-way, weapons-based fighter will get back to its roots with the return of ring-outs! How can you reduce the pangs of guilt that arise from gaming for 18 straight hours? Play a game that teaches you something. The previous installments of God of War weren’t exactly history lessons in classical Greek mythology, but they introduced you to the main characters. Get ready to expand your horizons with God of War 4, which will be the first in the series to focus on Norse mythology. The game-play is going be substantially different than what fans are used to, starting with the weaponry: Kratos isn’t getting his Blades of Chaos back (which he lost in GOW3), instead wielding a massive battle axe (Leviathan) which he can throw and have return to him. (Hey, that sounds eerily similar to a certain hammer-wielding Norse god.) Deeper character development should make this the best entry yet in the rage-tastic series. This one’s going to appear on every “most-anticipated” list around, and for good reason. The original Red Dead Redemption was one of the most critically acclaimed games in history (95% on Metacritic) and took home a slew of Game of the Year accolades. 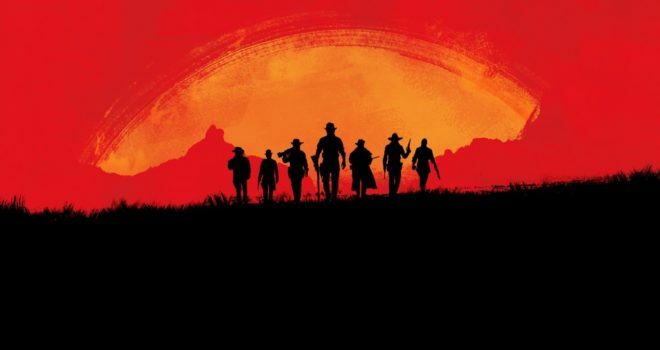 That alone would make the sequel a highly anticipated release; the fact that RDR2 was supposed to come out last year has left fans on pins and needles for its 2018 Q2 arrival. The apparent introduction of a multiplayer mode is the cherry on top. Thank you for sharing new gaming reviews. In this post I like the video game God of War ,it is an upcoming three-individual motion-adventure in development via Santa Monica Studio and to be published via Sony Interactive.